Weather Heraklion Crete - shows the current temperature and 7 day forecast below, just click on the bottom of the display 'get 7 day forecast' and it will show not only the forecast but hourly weather reports. Spring Weather Heraklion - the spring months of April May and June in Crete are marvellous and ideal for hiking and sightseeing. April is quiet in terms of other travellers and after Easter it is good for swimming. May is the time of wild flowers and long walks, visiting ancient ruins in an unhurried way, meeting more locals and less visitors. Average temperatures starting at 16 °C or 61 °F in April and reaching a beautiful 23 °C or 70 °F in June. 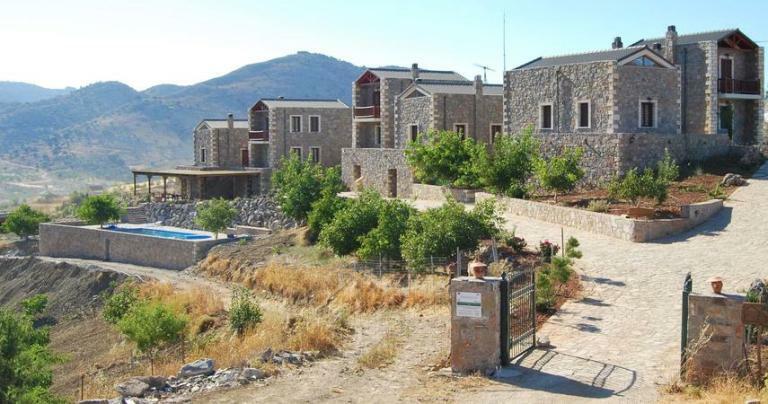 Arodamos Guesthouses - this is the perfect way to enjoy Heraklion in the spring, to experience the open fields and olive groves, the orchards and vegetable gardens, to be a part of the countryside of Crete during this wonderful season. Built in the traditional stone and wood materials of the region, these authentic small houses will feel like village life, and your welcome will feel like coming home. Breathe plenty of clean, fresh mountain air. Enjoy granny's recipes of traditional cooking in the restaurant with a magnificent view of the surrounding plateau and hillsides. Take part in cooking of the traditional Cretan food, the traditional art of conserving food, how to bake bread or make cheese and in how to make traditional soap. From here you can enjoy mountain biking, hiking, bird-watching and archery. This is an authentic agricultural and cultural experience of the real Crete in one of the remote corners of the island. Summer Weather Heraklion - the summer months of July and August are very warm in Crete, with average temperatures of 26 °C or 79 °F. Night time is still warm with averages around 21 °C or 70 °F. Water temperatures are perfect for swimming, clarity is great for diving and snorkelling. 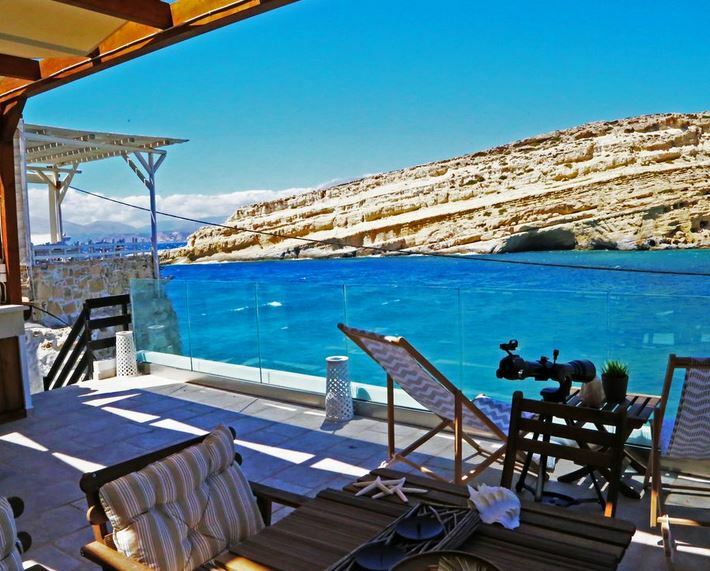 The Matala Caves Seafront Apartment has the most glorious position on Matala Beach, close enough to get the cooling breezes off the sea and enjoying a shady terrace with views to the caves opposite. Located close to all cafes and tavernas, and of course the clear waters at the beach, relaxing here in summer has never been so easy. 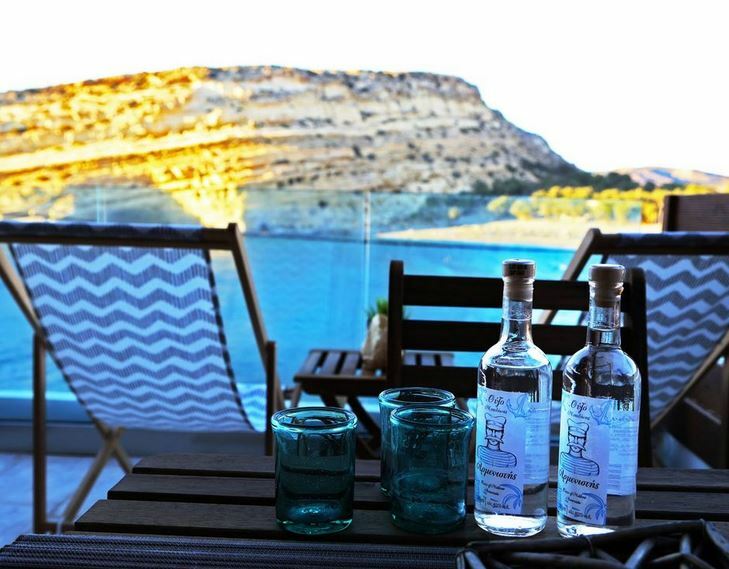 One last thing, you are going to need some ice-cold ouzo and some real ice to keep cool. Surrounding Matala are many other beaches, visit Red Beach and Kommos Beach on foot, or drive to numerous coves on the southern coast. Visit ancient sites nearby such as Phaistos and Gortyna, and villages such as Kamilari and Zaros which are a little cooler in summer. Autumn Weather Heraklion - the autumn months of September and October are ideal months to visit Crete, with water still warm and swimmable, yet fewer visitors and cooler days. Average daily temperatures of 22 °C or 70 °F. 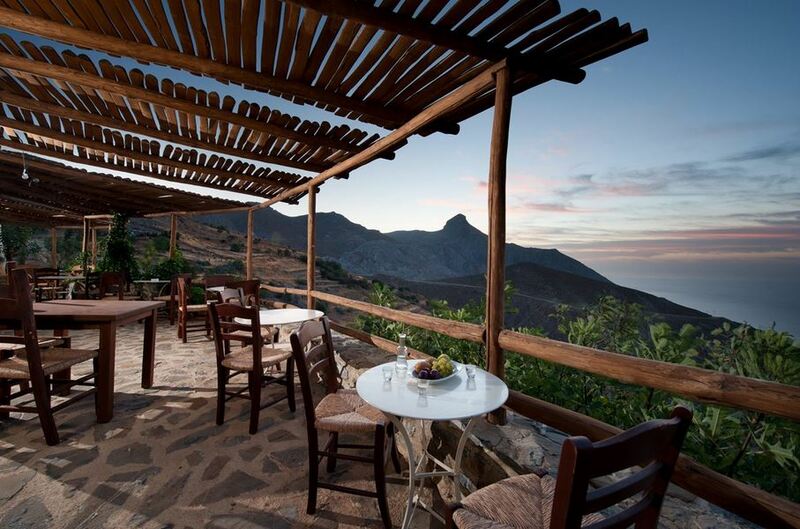 Thalori Mountain Retreat is small village in southern Heraklion, with graceful views to the Kofinas Mountain and to the sea. This village has been completely restored and now offers homely accommodation in fully renovated yet modern apartments, with traditional Cretan food and music, at Kapetaniana. In autumn it is nice to enjoy the cooler evenings and yet still visit local beaches by car. Walking is great at this time of year, there are plenty of trails to explore here. 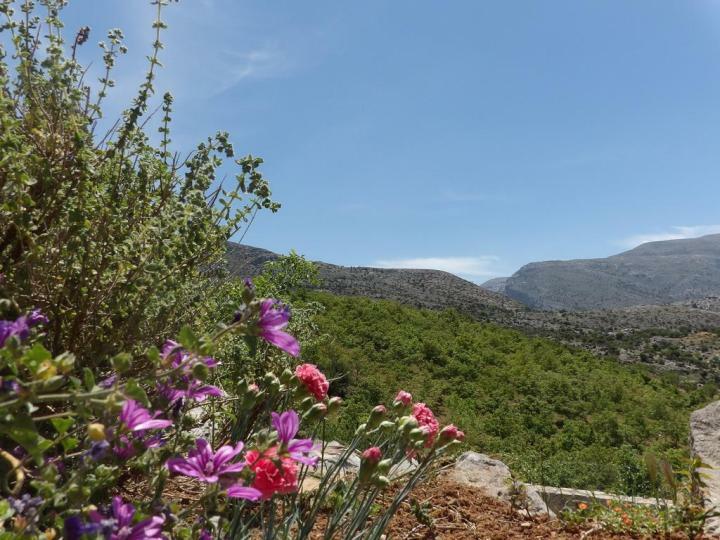 Visit ancient sites, churches, monasteries, experience the mountain ecosystem and keep your eyes out for Bearded Vultures, some of the rarest birds in Crete, which are protected here. Within Thalori Retreat are over 20 houses that have been beautifully restored, it is heartwarming to see a village come back to life with such care and attention. This retreat is also perfect for your special group workshop or family reunion gathering. From November to March winter is here with cold temperatures, some blustery days, less sunshine and snow on the mountains. 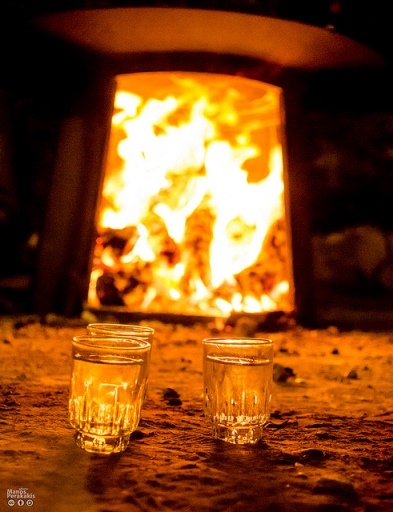 Bring your winter-warm layers and get set to meet the local people. Explore the island on wide open roads or enjoy cozy evenings with a little tsikoudia or cognac and plenty of good conversation. Winter daily temperatures average 14 °C or 58 °F with night times getting down to 10 °C or below (it is especially colder in the mountains). Make the Lato Hotel your base in town, and explore the winter snows of Crete, visit Anogia and the Psiloritis Mountains, visit the local villages where the olive harvest is underway. Visit the many museums in Heraklion and in the evenings, seek out warm company in Koraii, the bustling cafe bar backstreets where the Herakliots gather rain, hail or shine. Enjoy winter warm atmospheric cafes with open fires and hot chocolate, try bougatsa for breakfast. This 8 Day Art and Culinary Tour is offered during December in central Crete, with pickups from Heraklion. Get right under the skin of the island whilst experiencing its healthy vegetarian cuisine. Visit Knossos Palace Archaeological site, the local markets, experience hands-on cooking classes, mountain villages, wild green vegetables and more. A real experience of the island during winter. 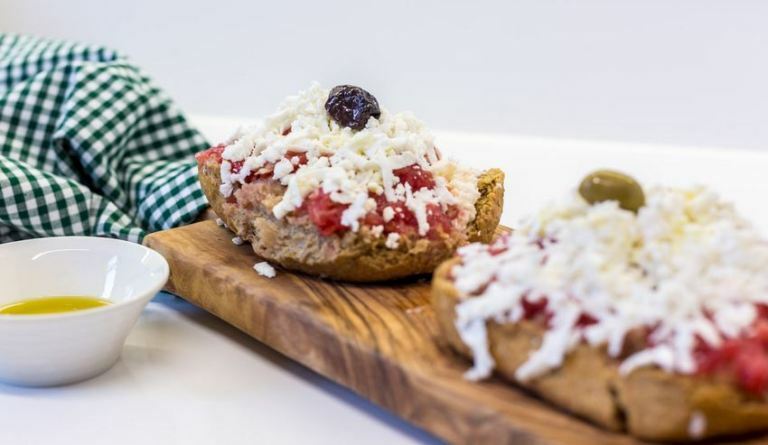 This tour includes vegan, vegetarian, Mediterranean and Greek cooking and is packed full of genuine cooking and food experiences. Understand why the combination of food choices make the Cretan diet one of the healthiest in the world, with loads of olive oil, pulses, fruit and vegetables including wild greens and uncooked vegetables, and rustic Cretan rusks (pictured above). Enjoy dolmadakia vine leaf wraps stuffed with sorrel, pumpkin flowers, vegetable moussaka, sfakiani (stuffed pitta), soups and stuffed peppers, tomatoes, courgettes and aubergines (papoutsakia) among other dishes. Learn about icon painting or wood sculture, visit Knossos Palace, the home of King Minos and the Minotaur and see the setting for the Minoan civilisation in Crete.